Up near Mount Sterling, in the Victorian high-country, is Craig's Hut. It's actually a replica, built for a film. I shot this using my Panasonic GX7 and 20 mm 1.7. 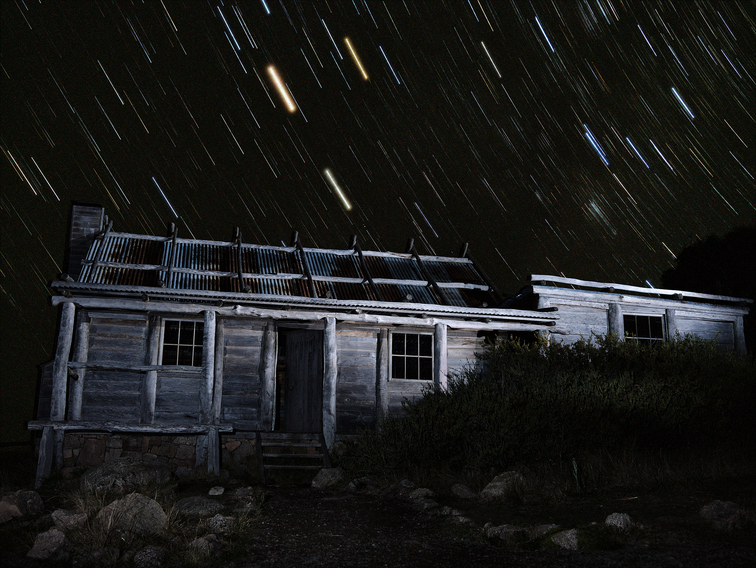 I took a series of shots, and used my flashgun to selectively light up the hut. I then also had a time series of images to capture the star trails - all then developed in Darktable and assembled in GIMP.